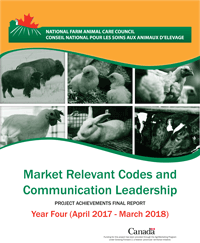 Facilitates communication and collaboration among all partners in Canadian agriculture focusing on responsible farm animal care and welfare. Facilitate proactive approaches to livestock care. Significant strides have been made in bringing together the whole value chain and other stakeholders to develop science-informed approaches to farm animal care. Provide a link between government and other partners regarding farm animal care and welfare developments domestically and internationally. support approaches that are scientifically informed. Each NFACC partner respects – not only the views and values of other partners, but also their areas of expertise and authorities. This results in open communication that builds relationships and mitigates the challenges that may stand in the way of achieving our common interests. NFACC functions on a consensus-based model of decision making. As such, all partners of the Council have an obligation to support the decisions and positions of NFACC. NFACC members and partners meets 2-3 times a year. The Executive meets more frequently with monthly teleconferences. 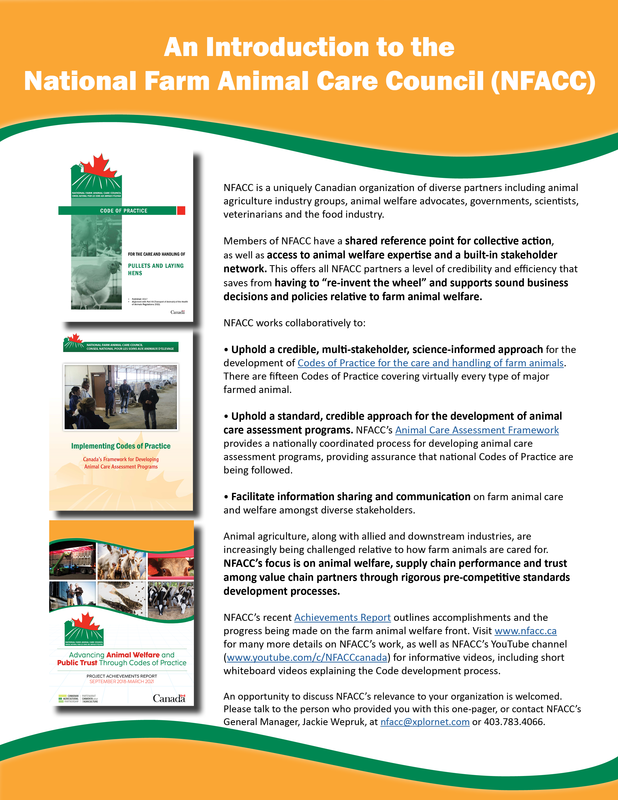 NFACC gratefully acknowledges the Canadian Animal Health Coalition for its secretariat support. The 2004 discussion paper and environmental scan that ultimately led to NFACC’s creation are available (English only) upon request. 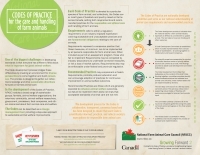 The papers, developed by Serecon Management Consulting Inc., were commissioned by AAFC and made available to an Oversight Committee tasked with coordinating Canadian efforts which led to thedevelopment of NFACC.